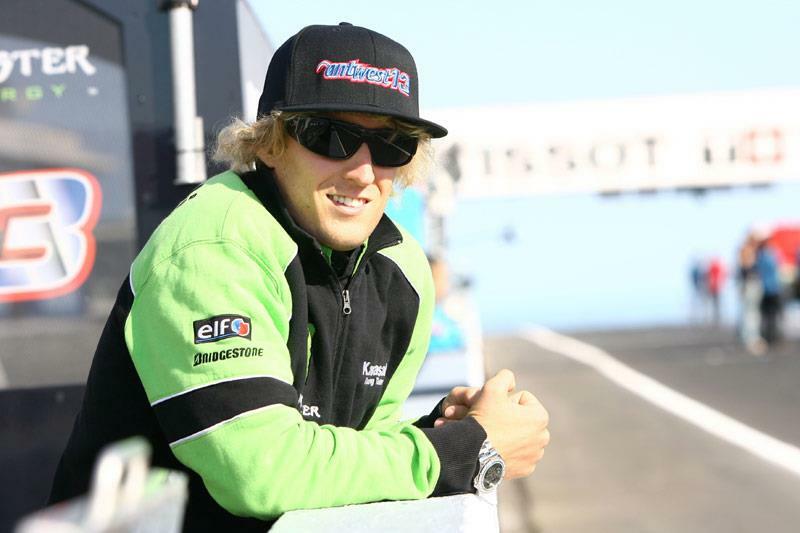 Team Stiggy Motorsport Honda have signed Australian rider Anthony West for 2009. The 27-year old will leave MotoGP at the end of the season to compete in the World Supersport Championship. Anthony is no stranger to World Supersports. He made his mark in the 600 class, as a replacement rider in 2007, taking two wins and one third during his short spell in the series. Johan Stigefelt, team owner, said: "I'm very pleased to have Anthony onboard. We both come from MotoGP and the 250cc class and know each other well, having been team mates in 2003. I know he is a talented rider, a fighter and a winner and he will be the perfect match for us next year. "Ever since his ‘wild-card’ ride in Supersport 2007, I have wanted him in our team. Now it's a reality and we will have to put all our efforts into a successful relationship. With four years experience in World Supersports, I believe we’ll be able to give him a winning Honda. Our aim is high - we will be fighting for the title next year." Anthony West seems very excited about the prospect of working with the Stiggy team: "Im very happy to be joining the Stiggy team. Stiggy is a friend an old team-mate from 2003 in 250GP. "I remember saying to him one day that he should start his own team because none of the other teams knew how to do it right, and to my surprise he did! Over the last couple of years I heard from everybody in the industry that the Stiggy team it's one of the better ones in the championship. "To have a team boss that knows what it's like to race and knows what racing is all about is just great! After a difficult year in MotoGP I need to race on a bike that can win, and in Supersport together with team Stiggy I can. For 2009 I have only one goal - To win! "